During my time at Ryerson, I’ve had the incredible opportunity to become involved in many different areas of student life and create amazing memories here.. But some of my favourite memories (and the most shaping and defining moments of my university career) come from my time spent volunteering in Honduras: once in December 2011, and again in March 2014. I first travelled to Honduras in December 2011 and I fell in love with the community of Nueva Suyapa: the people, the beautiful mountains, the bumpy truck rides, the gorgeous weather. So when an opportunity arose in March 2014 to act as a “chapernot” (a chaperone, but not) on a March Break trip to Honduras, I jumped at the chance. I would be able to return to the community I worked in previously – I would stay in the exact same place, travel in the same vehicles, and see some of the exact same people. Our volunteer time was spent helping install cement floors in the homes of families who had dirt floors – but we came to intentionally build relationships with the community, and learn about their lives. We would blow bubbles, colour, and play soccer with the children, and we spent our afternoons touring through communities and asking them questions about their gardens, their stoves, and their pillas (water storage units). We asked how the concrete floor would impact their lives, we would chat about their families and tell them about our loved ones back home, we ate lunch together everyday, we shared innumerous laughs, and we heard all about how these strong, beautiful women got involved in their community to create such a powerful impact. While my volunteer experience was done through an outside organization (The Carpenteros), I had plenty of Ryerson support in both of my journeys. 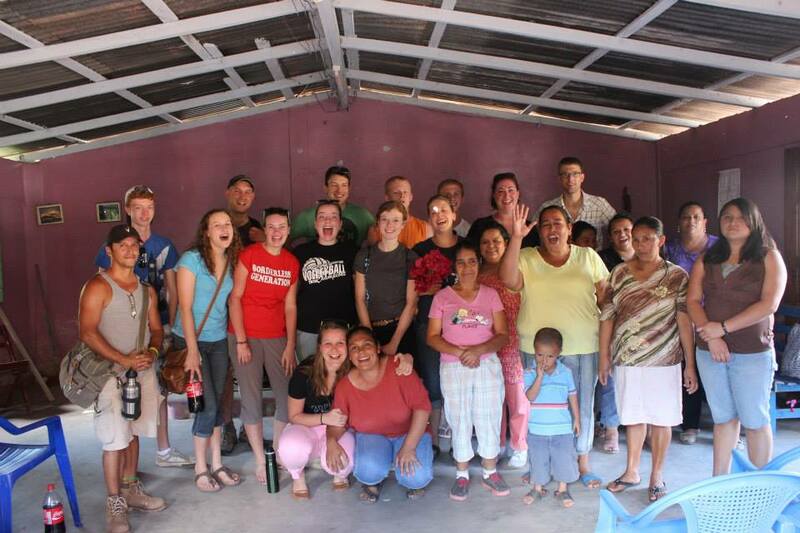 For my first trip, many of my friends and professors supported me financially as I fundraised for my trip. 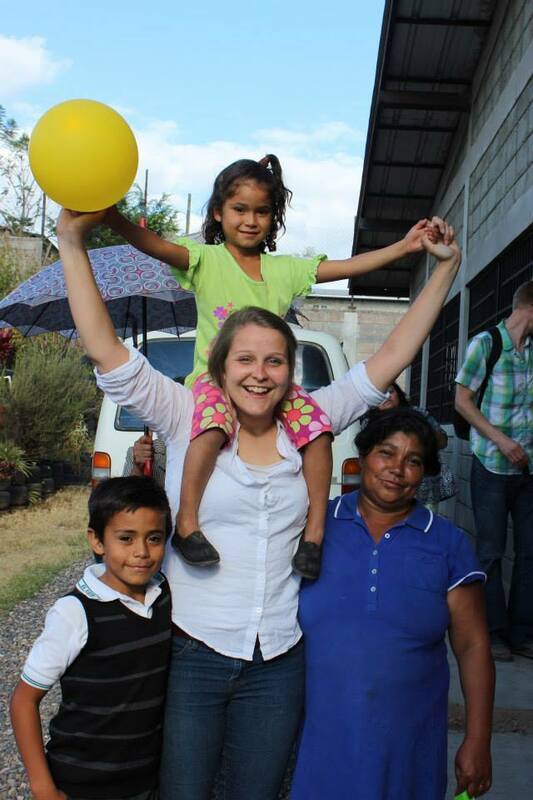 (It helped that I pledged an hour of silence for every $100 raised – I finally realized everyone wanted me to shut up when I had to be quiet for 25 hours…) On my second trip, I applied for an International Experience Grant through my program, and received financial support again towards my travel to Honduras. Throughout my time at Ryerson, I’ve been given many opportunities to share how Honduras has shaped me into the student and person I am today. 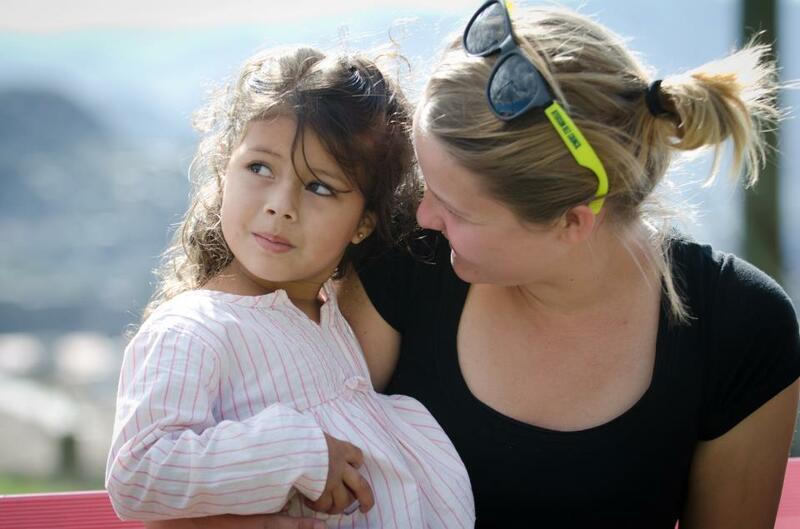 The experience of volunteering abroad was incredible, and I’ve learned a lot of lessons, including – but not limited to: you can’t just ask people who live in the mountains without electricity if they’re scared of the dark, “crushed it” turns into “CHOCALA” in Spanish, if you say “Chocala” enough times, people will use it as a nickname for you , and while my dear Honduran friends may be seen as poor by the world’s standards, they are rich in community and love, and that’s something I now try to put into my life every day. 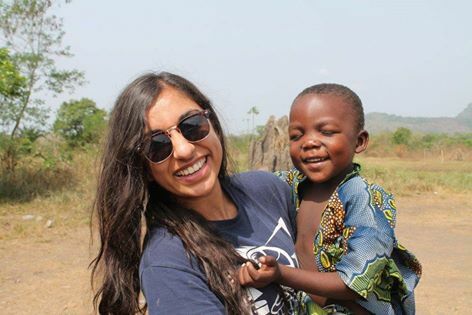 But I’m not the only student at Ryerson who has valuable experience from volunteering abroad. In fact, Ryerson itself offers many programs that students can get involved in – and here are just a few of the lessons we’ve learned from our experiences volunteering abroad. Lesson Learned: Travelling to Ghana was one of the most eye-opening experiences I’ve had. I think the biggest takeaway from the trip was that we in the Western world are not necessarily “better off” than those in developing countries. Just because people live simply and with less “frills” than we do, does not mean they want to trade places with us. It was very eye opening to see people living with less, but happier than I’ve seen most people in Toronto. Funny enough, I experienced more culture shock when I came back to Toronto, than when I arrived in Ghana! For more information about RTA in Ghana, check out their website here. Note: This program is only open to RTA students. 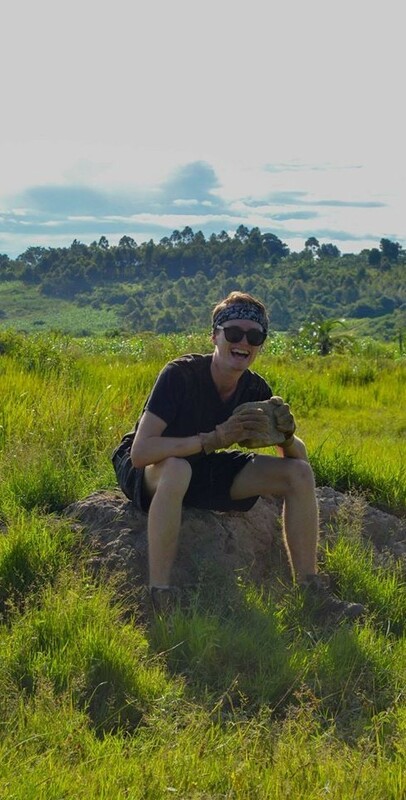 Lesson Learned:During the month of May, Alternative Spring Break Ryerson, a student-run initiative that travels with a purpose, volunteered in Villa Maria, Uganda. After a month of living in a rural mud hut while working on the construction of a medical clinic, farming local produce and assisting with the Byana Mary Hill orphanage and school, here are a few things I wish I knew before: bring more socks than you think you’ll need (after 72 hours of straight rain, the last thing you want is damp feet), protein bars will be your best friend (so you should pack a lot of them – and I mean A LOT! – for a boost after a long day’s work), & duct tape fixes everything (from mosquito nets to laundry lines, this stuff is extremely handy). Nevertheless, the most important lesson I learned is that co-operation and communication is crucial. When you live with the same 20 people for a whole month in a close, unfamiliar environment, things can get tense. However, take advantage of this communal space, both within your volunteer group and within the community! Instead of focusing on the lack of privacy when you’re showering in the spring or your inability to escape into your iPhone, think about the amazing memoriesyou can make around the nightly campfires and the amazing face-to-face conversations with people who may change your life. And trust me; they will. For more information on Alternative Spring Break, check out their Tumblr and Facebook! Lesson Learned: Keep an open mind! 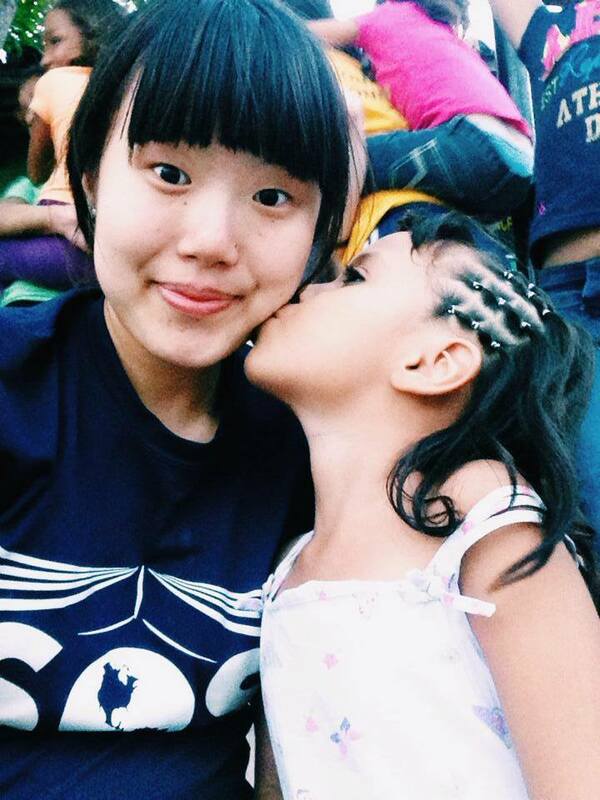 The biggest lesson I have learned while on my international volunteering trips to both Costa Rica last year and Honduras this summer with Ryerson SOS was to keep an open mind. An open mind to different cultures, different ways of life, and different living conditions – but most importantly, an open mind that you are not only there to “give” but you are also there to “receive”. It is crucial to go into these trips with the understanding that it is definitely a two-way street: although you are there to give assistance to a community, you also receive so much more right back. You receive the opportunity to be part of a different, yet equally as beautiful, culture from yours; to experience a fulfilling and life-changing trip; to learn to stay humble and grateful for what you have back at home; and to touch and connect with lives all around the world. Yoko Ono said it best, “healing yourself is connected with healing others” – a quote that I live by. For more information on Ryerson SOS and how to get involved, you can email Angel at vp.outreachtrip@ryersonsos.com, or check them out on Facebook, Twitter, or Instagram! Previous ArticleWhat do You want to be when You grow up?Next ArticleLearning to Learn: Super Study Tips!